About a decade ago I met a yoga teacher named Rama Jyoti Vernon. She was tall, ageless, with a thick, black mane of hair. One of the founders of Yoga Journal back in 1975 and the person who first brought BKS Iyengar to the US, Rama came to 8 Limbs to talk about the Yoga Sutra of Patanjali. She shared what seemed like secret and hidden knowledge about this ancient text I already adored. She would sometimes speak in a whisper, and then roar like a lioness when chanting the sutras or the amazing sound of OM. 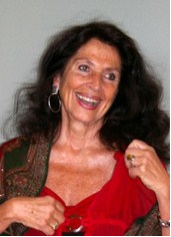 While she lived in the area 8 Limbs hosted her for classes on The Bhagavad Gita, Hindu Dieties, her unique style of Asana, and Pranayama. The teachers and dedicated students who attended literally lapped up her teachings! Yoga is the reduction/cessation (depending on your translation!) of the fluctuations/revolutions of the mind. It is the state when your citta (consciousness) is not modified by the movements, vrttis. Our minds revolve; they twist, they turn. They rocket ship in one direction – sometimes to solve life’s mysteries, others to crash and burn. When we gain the ability to still, or at least quiet our minds, we develop access to peace, a gift so different from the simple satisfactions our mind seeks throughout the day – the pleasure of a task completed, the perfect sweater purchased, an email from a beloved. 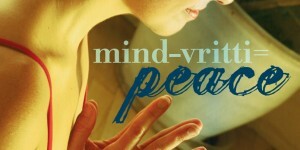 Peace is the sweet center of being that we can only access when we calm the vrttis, the movements of the mind. Peace is also the goal of Rama Jyoti Vernon’s life. She has been an activist for World Peace, traveling to the Soviet Union over 47 times as a citizen diplomat. 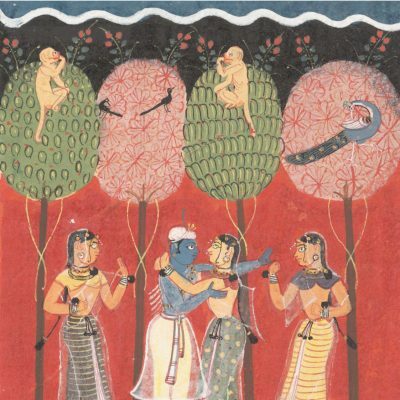 Learn more about Rama’s peace work here. Join us in welcoming Rama back to 8 Limbs for an afternoon workshop on the Yoga of Myth and Sacred Geometry to introduce her long-awaited book on the subject. 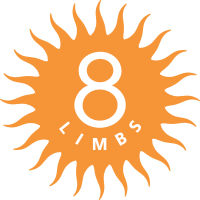 And don’t miss the 8 Limbs Many Paths Teacher Panel this month that will discuss the equation Mind–Vrtti=Peace.